You may have noticed from the reviewed films on this blog that I tend to stick to a fairly similar set of genres when considering a trip to the cinema. Mostly dramas, a few comedies and a musical whenever one is released, but rarely ever a nail biting, edge of the seat detective thriller. It is for this reason of relative unfamiliarity, perhaps, that whenever I do choose to see a picture of this type I nearly always enjoy it immensely. This was certainly the case for Prisoners, in which Hugh Jackman returns to the big screen, for what feels like the fiftieth time in about three years, as distraught father Keller Dover. His daughter Anna and her friend Joy are abducted on Thanksgiving day and the only potential lead to their whereabouts lies with a sighting of a suspicious looking RV camper van. Naturally, Dover decides to take the law in to his own hands and what follows is a familiar downward spiral in to the questionable morality of the vigilante. This determined father will do anything to get information on his daughter’s disappearance, and does so to the detriment of many characters and at the risk of becoming a villain himself, a decision the audience have to make on a personal basis. Jackman plays the role as solidly as you would expect from the calibre of actor that he is, and is one of few current actors that can commit heinous acts of violence yet still evoke your sympathy. Representing the legal side of the investigation is Detective Loki, played by Jake Gyllenhaal. Loki’s rugged good looks, greased back hair and numerous tattoos lead the audience to assume that he will be one of the many cliched ‘any means’ cops that are so frequently portrayed in detective thrillers but, bar one or two slight misdemeanours, Loki plays by the book. This is an interesting choice by the filmmakers to have a character so dramatically oppose one’s preconceptions, and the affect this has on the picture as a whole is to ground the plot in some type of reality when Jackman’s character falls well and truly in to the depths of vigilante madness. The two central performances are supported by a cast of actors that any film would be proud to boast. Viola Davis, Maria Bello and Terrence Howard complete the line up of tormented parents, each offering an insight in to the different coping mechanisms used at such a time ranging from suppressed anger, to alcoholism, to a developing dependence on sleeping pills. 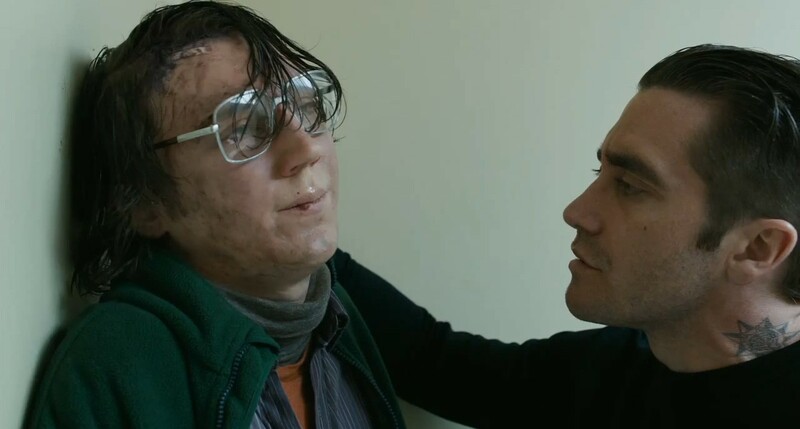 Paul Dano gives an eery and unsettling performance as prime suspect Alex Jones, a somewhat sinister yet sympathetic misfit with the supposed IQ of a ten year old, and Melissa Leo is almost unrecognisable as Alex’s secretive aunt Holly. 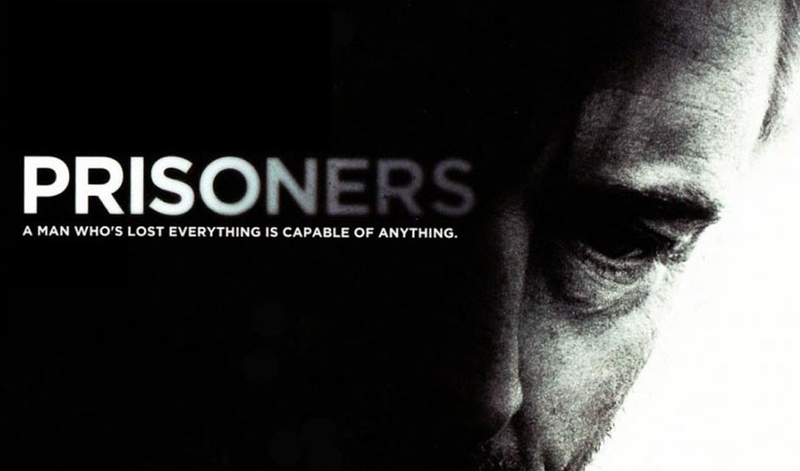 The benefits of a talented cast are fully on display in Prisoners, for with lesser actors the intensity and questionable plausibility of the plot could have easily boiled over in to the realms of parody. A fine line was needed and a fine line was upheld. I regard 2004’s Mystic River as the film to aspire to when it comes to this sort of missing child, small town investigation story, and for two thirds of its running time Prisoners replicated the tone and integrity of the Clint Eastwood masterpiece very well. It is as the picture turns in to its home straight, however, that the plot begins to rely on gimmicky twists and somewhat convenient ‘light bulb’ moments. The film begins to lose its way slightly as each suspect is either disregarded or exposed, and for a film just over two and a half hours in length the climax seems inexcusably rushed. With the exception of one particular scene, the film is not especially gory or graphic, therefore it is testament to the sense of constant dread and anxiety the filmmakers manage to produce that I had to hide behind my hands at least seven times. My personal deal breaker in film is the depiction of cruelty to animals, and one moment had me shut eyed and saying “no no no no”. I understood, however, that the brief scene was important in terms of a certain character’s development and therefore didn’t fall in to the bracket of unnecessary. Other than a truly hilarious comedy, this kind of ‘whodunnit’, panic inducing thriller is one of the most fun genres to watch with friends. It is human nature to speculate on who the culprit is with only seven and a half minutes of the picture gone, and I can tell you that my friend and I had pinned the crime on almost every character by the time the real villain was revealed hours later. Like most films of the genre, I am not sure it will stand up so well to multiple viewings once the intricacies and twists of the plot are known to the viewer, but it was intriguing and enjoyable to guess while the suspense lasted, and though Prisoners is kept from being a truly great film by its slightly disappointing final third, much fun was had in getting there.